Former Vice President Joe Biden told reporters on Friday that he’s not sorry for making inappropriate physical contact with people, including seven women who have accused him of making them highly uncomfortable after grabbing, kissing and making inappropriate comments about their physical appearance. “The fact of the matter is I made it clear that if I made anyone feel (uncomfortable), I feel badly about that. It was never my intention. Ever,” said Biden – without apologizing. 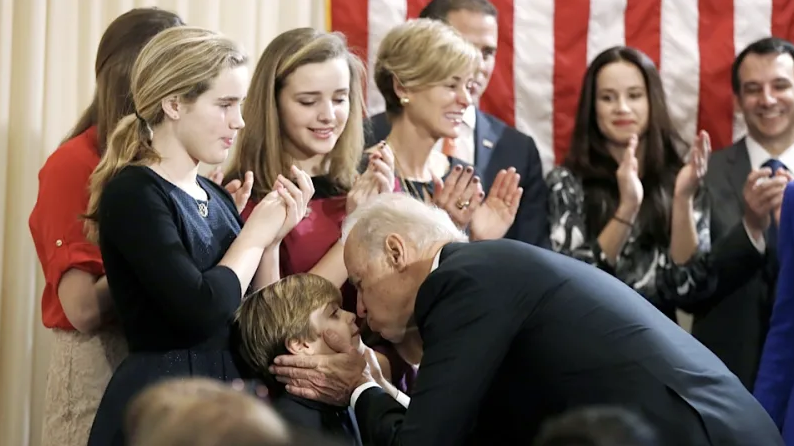 Speaking on Friday to the International Brotherhood of Electrical Workers Construction Conference in Washington DC, Biden joked twice about inappropriate physical contact. Before beginning his speech, he quipped “I just want you to know. I had permission to hug Lonnie,” referring to IBEW president Lonnie Stephenson who had just introduced him. 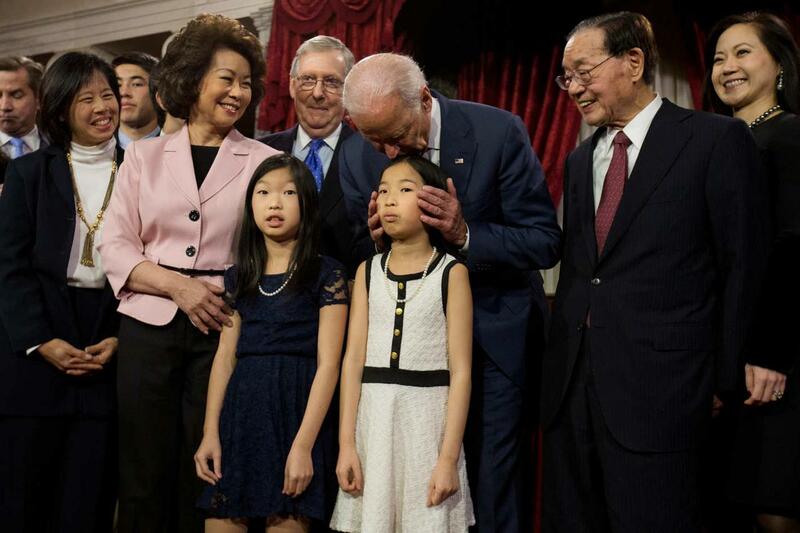 Biden has admitted that the accusations will “have to change somewhat how I campaign.” On March March 39 when former Nevada lieutenant governor nominee Lucy Flores alleged that Biden grabbed her, smelled her unwashed hair, and gave her a “big slow kiss” on the back of her head at a campaign event. “I wanted nothing more than to get Biden away from me,” said Flores. Biden issued a statement claiming he had no memory of “acting inappropriately,” followed by a two-minute-long video response in which he never says he’s sorry. 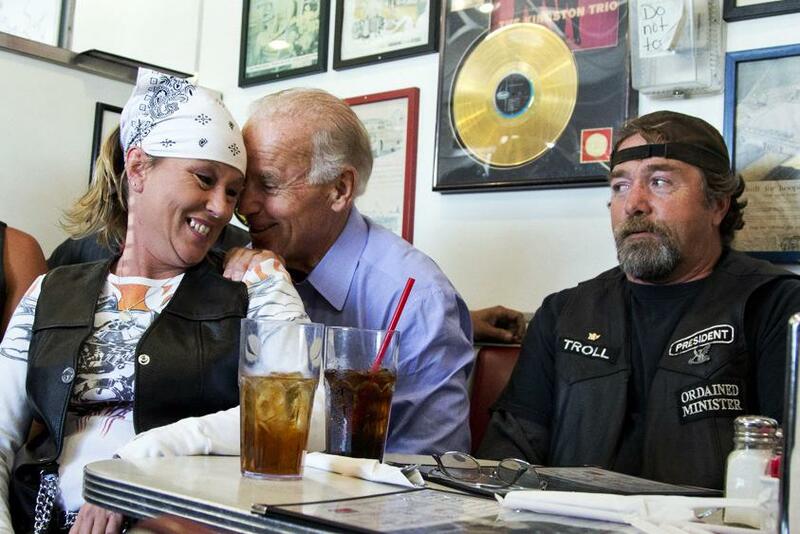 Meanwhile, Biden and the MSM have more or less glossed over the fact that it wasn’t just women that the former VP made feel uncomfortable. There are countless videos of him stroking, kissing, smelling and otherwise getting ‘grabby’ with children.